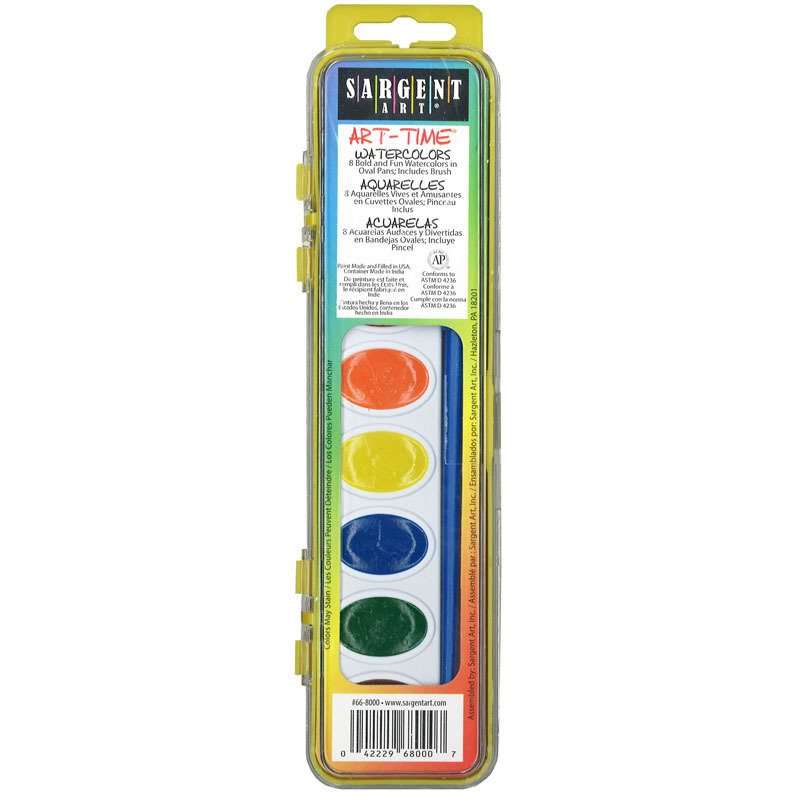 Sargent Art® Art-Time Washable Watercolors are the same great color intensity of watercolor paints, but formulated to remove easily from most fabrics and surfaces with soap and water. Features vibrant colors that blend together beautifully. 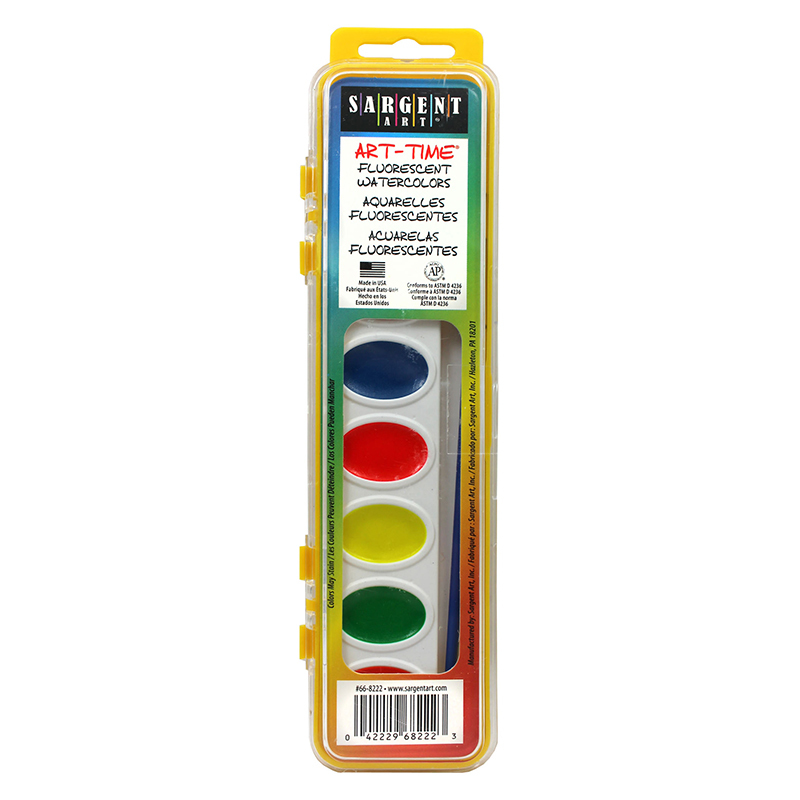 Paint lifts easily with the touch of a brush. Non-toxic and AP certified. 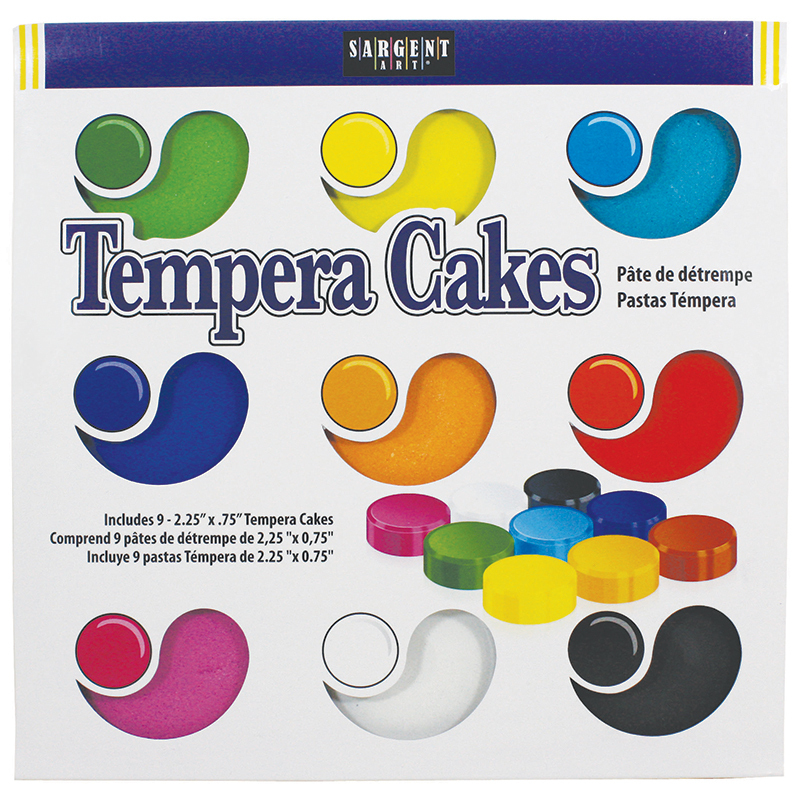 Each set includes 8 basic primary colors with a soft bristle brush in a peggable plastic case. 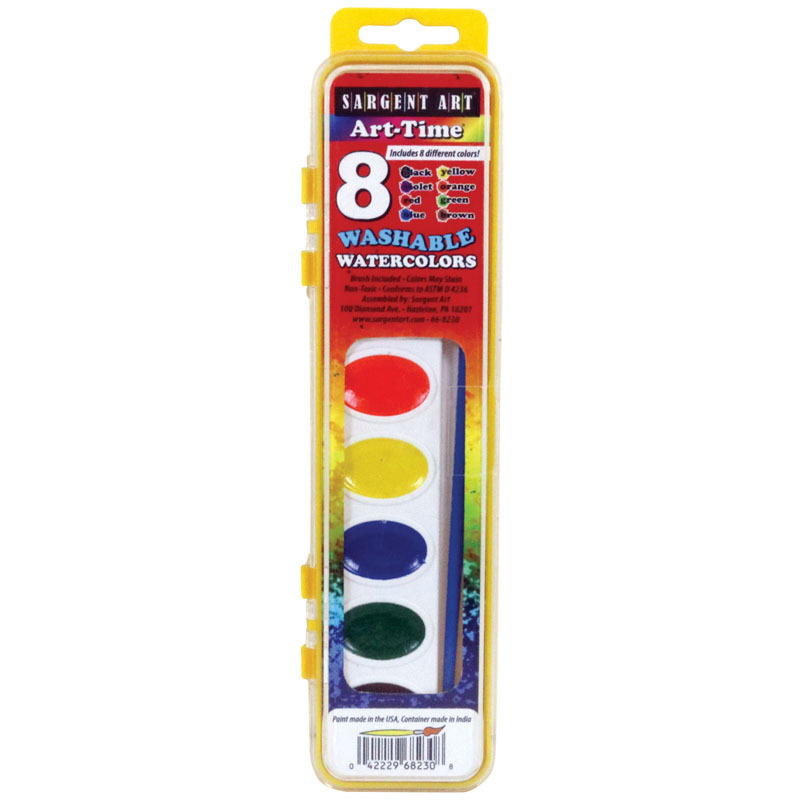 The 8 Semi Moist Watercolors Washable can be found in our Paint product category within the Arts & Crafts.